We have decided to change our logo on the instruments, to make it smaller and cuter :-) I hope you will agree. Our old logo was burned with a metal stamp into the wood. 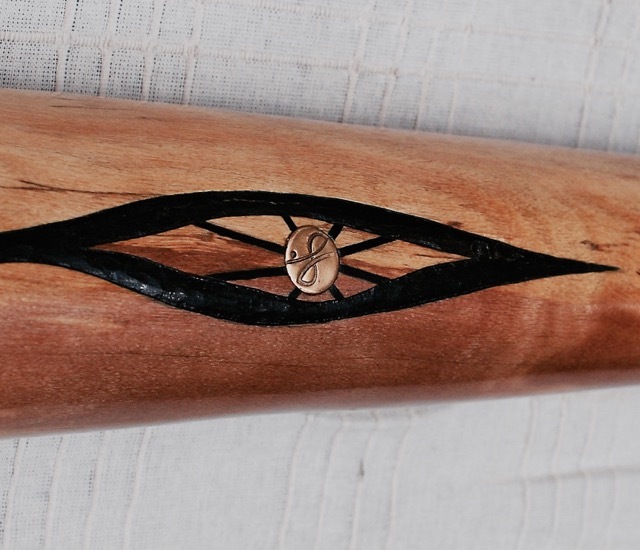 And since the didgeridoo is curved, we needed to make a small straight surface on it to be able to stamp the logo. This was sometimes interfering with the design of the instrument. So we were thinking for some time about another solution for our logo . 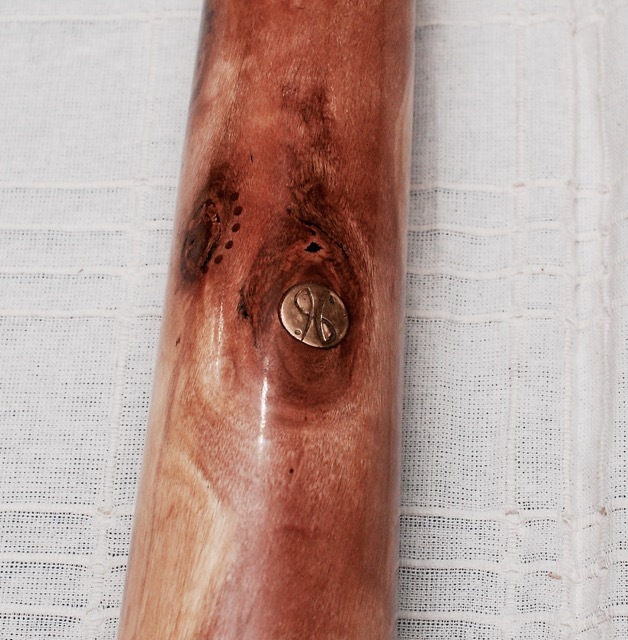 The new variation of the logo is stamped by hand (and hammer) into a brass circle which is then slightly curved to fit the curve of the didgeridoo, and finally inlayed into the wood. The metal and wood make an elegant combination of different shine, texture and feel. The brass circle is much smaller than the previous logo, so it was needed to make a slight change of the design. The classic Duende logo was made slightly more abstract by turning the feather and the leaf into two dots that surround the main infinity curve. I want to add that this new variation and the old one are both perfectly valid Duende Didgeridoo signs. And very possibly, we will still sometimes use the old variant, if it fits with the design more. 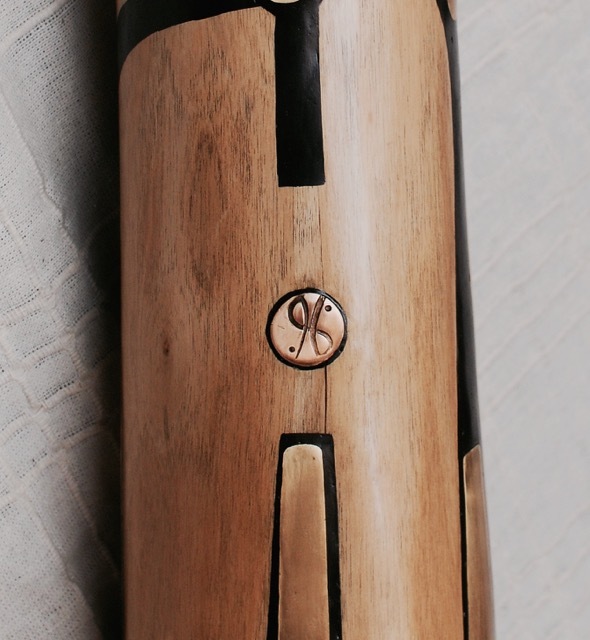 But mostly, new didgeridoos will have the brass logo on them.